Can you ensure your response to an employee’s request for Family Medical Leave Act (FMLA) is appropriate, consistent, and includes the appropriate certifications? Have you educated and informed your managers about their role and personal responsibilities in following FMLA guidelines? 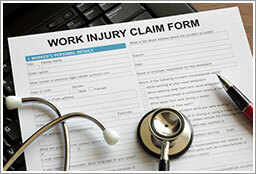 Get the practical advice and compliance guidance you need to avoid mistakes and protect your company from FMLA lawsuits. Wisconsin companies looking for more information on the FMLA, please contact knowledgebroker Jane Shevey.